The TwispWorks campus consists of 16 buildings on a forest service property that was acquired by the Twisp Public Development Authority (PDA) in 2008. The vision for the site was to create a dynamic hub where small businesses, non-profit organizations, artists, craftspeople and the community at-large could come together to collaborate and learn from eachother, with the ultimate goal of supporting the ongoing resilience and economic vitality of the Methow Valley. As volunteer chair for the PDA board, Ray Johnston structured and managed a programming and design process that resulted in the creation of TwispWorks- a community asset that continues to grow and thrive. resulting in a final Master Plan for the site. 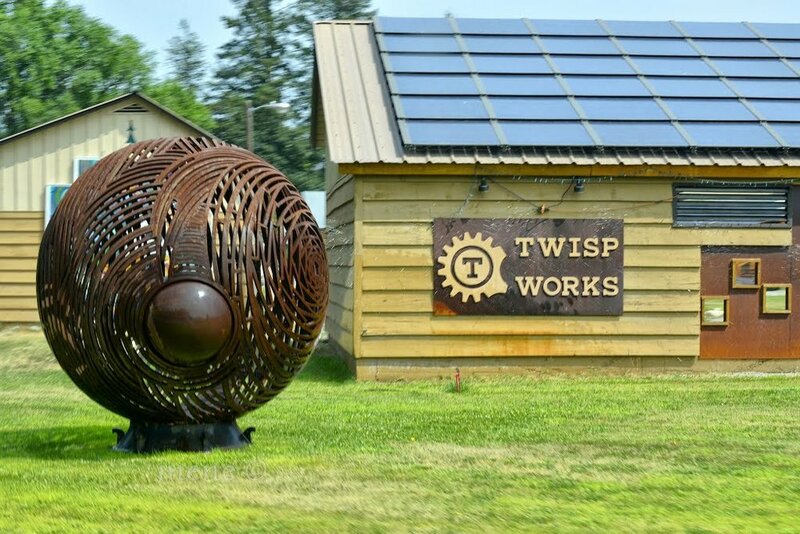 Now open to the public TwispWorks is a 6.4 acre campus designed to share, collaborate and celebrate the vibrant culture that makes the Methow Valley a special place. From gardens to artist studios, shops, classes and live music the former Forest Service property has been rehabilitated. Over 38,000 square feet of usable space now serves as the home to 35 businesses, civic organizations, nonprofits and artists operate on campus.